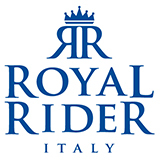 RR PERFECT FLEX , maintains the characteristics of a lightweight but highly resistant stirrup with high structural integrity typical of the Style line. These are combined with the flexibility of the stirrup body obtained through a sophisticated system of stainless steel tie rods positioned on the body, suitably covered in technical rubber. The wide arch makes this stirrup spacious and ergonomic, ensuring high stability and safety: naturally accompanies the rider’s gesture and is perfect for all disciplines. The soft and elegant lines and the flexibility feature draw a technical stirrup able to effectively reduce stress while leaving a sign of elegance and distinction with its aesthetics. The bench presents a stainless steel grip, shiny gloss and is extremely durable. A non-slip rubber spare part is supplied to satisfy every need. Supplied in three models: in black with black rubber cover, black with grey rubber cover, grey with grey rubber cover. 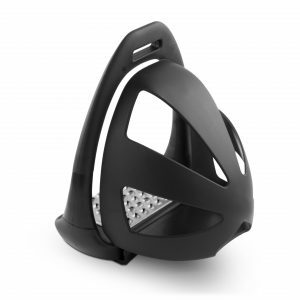 RR SPORT FLEX , maintains the characteristics of a technical stirrup, extremely light but highly resistant thanks to the techno polymer construction reinforced with fibreglass. These are combined with the flexibility feature obtained through a sophisticated system of stainless steel tie rods positioned on the body of the stirrup, suitably covered with technical rubber. The technical and sporty lines with the flexibility draw a technical stirrup able to effectively reduce stress while leaving a sign of distinction with its aesthetics. 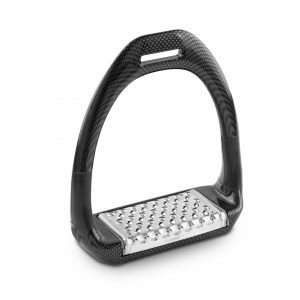 RR CARBON is an exclusive stirrup thanks to its design and materials used. The carbon fibre makes it unique and precious: to its classic and elegant design it has been added the beauty of the water transfer printing finishing of the material. The carbon fibre reinforced in techno polymer guarantees a very high strength, while maintaining elasticity and comfort, making the performance unique and perfectly adapting to both high and low temperatures. These characteristics are combined with the flexibility feature obtained through a sophisticated system of stainless steel tie rods positioned on the body of the stirrup, suitably covered with technical rubber. The soft and elegant lines combined with the technicality of the material draw a unique component for those looking for a sign of distinction, maintaining a timeless aesthetic. The bench is made of extra thick and strong stainless steel grip, making the appearance of this virtually indestructible stirrup even brighter. Supplied in black, bright finish. RR PERFECT FLEX ENDURANCE , maintains the characteristics of a lightweight but highly resistant stirrup with high structural integrity typical of the Perfect line. 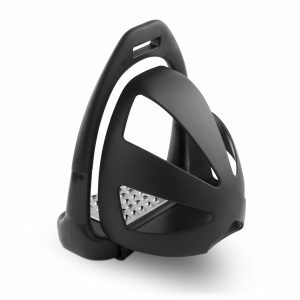 Its shape is designed to prevent the foot from being trapped in the event of a fall or completely entering the arch by sliding in front. Comfortable, irreplaceable and ideal also for children riding ponies. 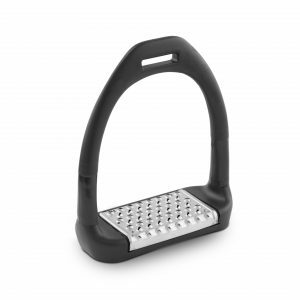 The wide arch makes this stirrup spacious and ergonomic, ensuring high stability and safety: a stirrup that naturally accompanies the rider’s gesture and is perfect for all disciplines. The soft and elegant lines and the flexibility feature draw a technical stirrup able to effectively reduce stress while leaving a sign of elegance and distinction with its aesthetics. Supplied in black with black rubber and black cage. RR SPORT FLEX EN DURAN CE, maintains the characteristics of a technical stirrup, extremely light but highly resistant thanks to the techno polymer construction reinforced with fibreglass.